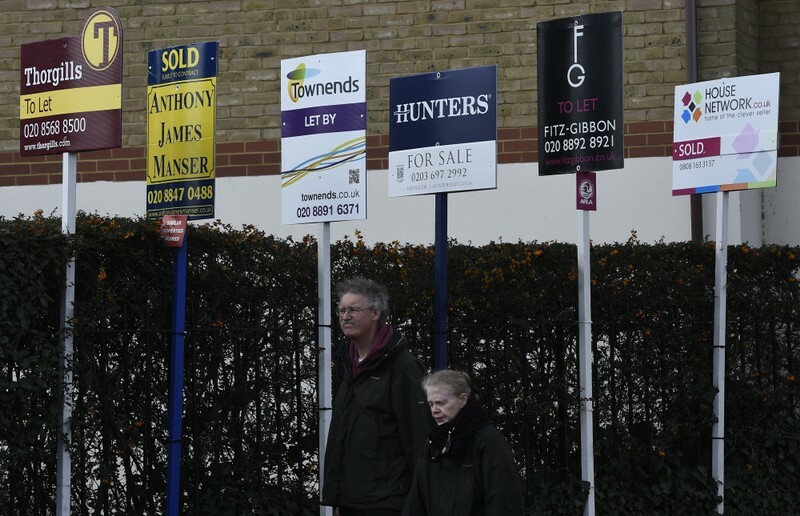 LONDON (Reuters) – British banks approved the fewest mortgages in almost six years last month, according to industry data which suggested the approach of Brexit was being felt increasingly in the housing market. Seasonally-adjusted data from the UK Finance industry body showed banks approved 35,299 mortgages last month, the smallest number since April 2013 when Britain was still suffering the after-effects of the global financial crisis. The value of net mortgage lending increased by 711 million pounds ($936 million), the smallest rise since April 2016 and around half the size of increases in much of last year. The figures added to signs of a weakening in Britain’s housing market ahead of Brexit. Overall consumer credit growth also slowed, rising by 3.8 percent compared with February last year, the smallest increase since October, the UK Finance data showed.